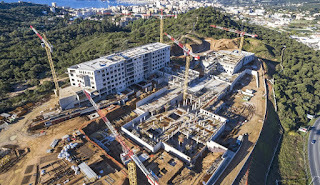 The new Ajaccio Hospital, located on the east side of the city with a scenic view of the sea, will replace the old one and it will become the main medical centre for the whole island. Designed and built by INSO Spa, the general contractor of Condotte Group focused on healthcare construction, the hospital, with its 340 beds, will offer all types of facilities for patient care, including the emergency room, radiology, general medicine, surgery with eight operating theaters, gynecology and obstetrics, intensive care, and cardio-vascular divisions. 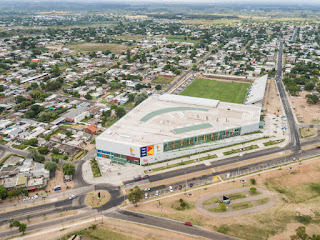 The new building, still under construction, will cover an area of approximately 42.000 sqm, and will be composed of 6 floors above ground and 3 basement levels. The main building sits on a podium hosting the hospital and health services and consists of a horizontal block for diagnostic and therapeutic activities in addition to a vertical block, dedicated to outpatient clinics and wards. The different structures that make up the building are interspersed by inner courtyards, which allow for the entry of natural light. Thanks to a network of paths that facilitate the orientation of patients and visitors, and a corridor linking the main departments, the flow of people and vehicles between the different buildings is very simple and functional. The Hospital has been built in strict compliance with environmental and energy saving standards, according to the French certification HQE (Haute Qualité Environnementale), which regulates the activities of designing, constructing, and managing buildings, in terms of their environmental impact. To this end, in this project there is a wide use of renewable resources, photovoltaic and solar thermal panels, which were installed with the intent to limit the emissions of typical pollutants in hospitals, that are considered as especially energy-intensive buildings. The air conditioning counts for about 30% of the total energy consumption in buildings, and this percentage is expected to grow in hospitals, where the air treatment is fundamental. In healthcare applications, the air conditioning system has to grant not only the well-being of patients, but also and especially to meet the needs of processes related to medical activities, such as operating rooms. 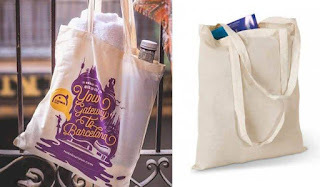 For these reasons, the air conditioning system is, especially in newly built structures, a real medical auxiliary system activity, thus assuming a great importance. 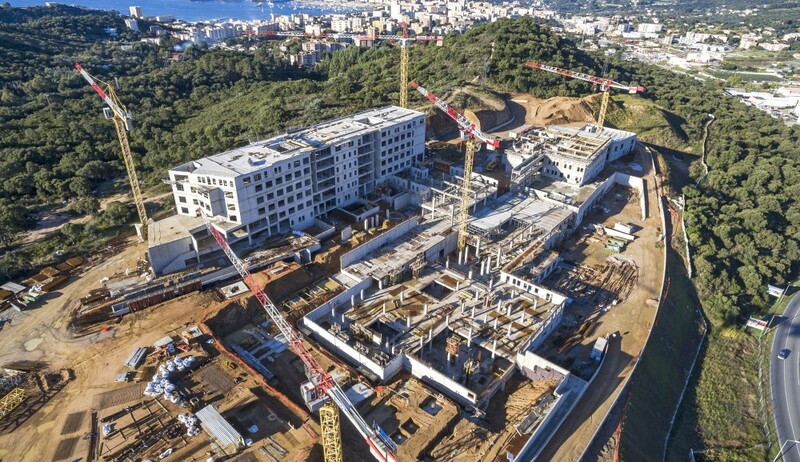 In the new Ajaccio Hospital, 4 Climaveneta high efficiency water cooled chillers i-FX-W (1+i) 3402 for a total cooling capacity of about 4.000kW have been installed. i-FX (1+i) range of chillers is specifically designed to operate at very high levels of efficiency at both full and partial loads, showing never before achieved EER and ESEER values, both at full and partial loads. The result is a Class A efficiency unit, with an ESEER of 4,8 and a IPLV of 5,4. For the air distribution in the hospital they have selected 640 fan coil units, belonging to a-LIFE and HWD2 ranges, while the air treatment is provided by 60 Wizard air handling units. Moreover 23 AHUs have been installed as extractors. The supply contract also includes 16 Accurate close control units, to be installed in the data center of the hospital. The whole HVAC system is managed by ClimaPRO, Climaveneta’s management and optimization system. ClimaPRO ensures the active optimize of the entire chiller plant by managing and adjusting each component directly involved in the production and the distribution of the heating and the cooling energies thus allowing to implement control strategies and simplifying the maintenance activities.